How to Get into Good Habits, A Fresh Look to Help You. How to get into Good Habits. For those of you have been on one of our training workshops you will know how keen we are to look at habits and how to improve them. Habits can be very funny things. They can kind of creep up on you without your even noticing. And then hey, you’ve got yourself into a new habit. Just like that. What is a habit? Simply put it’s a behaviour we do automatically without thinking. Another way to think about habits is to think of them conscious and unconscious behaviours. Of course habits can be both good and bad. But once we get into them they are just as compulsive whether they be good or bad. Take a look at what you do and see if you can spot behaviours of both sorts. For example, when you brush your teeth do you really think about how you do it? Probably not. It’s probably a good habit. 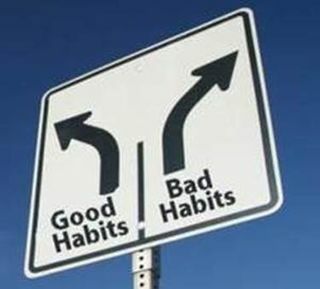 In an article in Psychology Today there is an interesting perspective on Good and Bad Habits. Follow the link here to read more of the article by Bernard Luskin. Psychology Today.